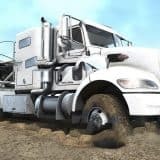 Spintires: MudRunner – How to unlock garages? Either equip garage points (at an already unlocked garage), or find a truck with garage points and deliver them to the locked garage. You need 4 points to unlock the garage, although you do not need to deliver all 4 at once. How do you determine if a vehicle has garage points? I don’t see anywhere in the HUD that says. When you hover your mouse over any vehicle on the map (F1 by default), you’ll see what that car contains: available spare fuel, repair points and garage points (if there are any). But it’s not too likely to meet cars with points on the map (think it’s scripted on some maps like “crossing”), so in most cases you’ll have to go to you garage, install equipment with garage points and go on unlocking closed garages. 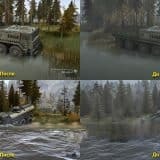 We hope that our quick guide How to unlock garages on Spintires: MudRunner helped you to feel more comfortable while adding new mods to your game. We assure you – it is really worth trying all these new MudRunner mods. As you already know How to unlock garages on Spintires: MudRunner game, start browsing and try the best mods on our website.